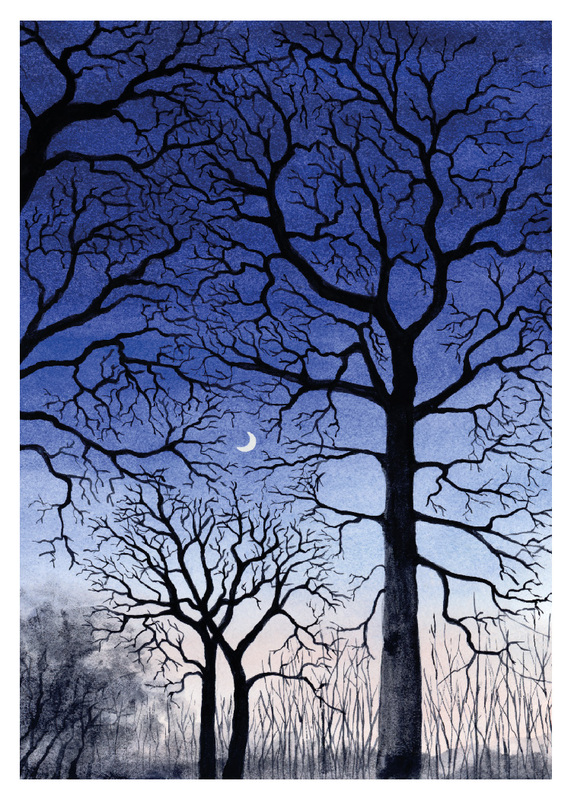 Atmospheric print created from an original aquarelle by Kajsa Lindberg. Warm and dramatic at the same time. Lovely color scheme and contrasts. You can almost feel the serenity when stopping and taking in the spectacular sight of the night sky and the moon during the evening stroll. The poster makes a beautiful piece of wall art in any room in your home.